This holiday, give the Gift of Beauty by FPSA! Are you looking for the unique holiday gift that keeps on giving? 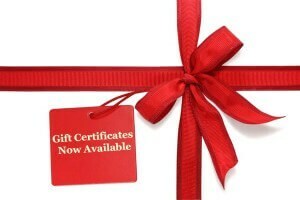 Why not pamper someone special in your life with an FPSA "Gift of Beauty "certificate. Is your husband looking for the perfect stocking stuffer for you? Does a friend keep hinting about wanting Botox or fillers? Has a family member expressed an interest in facial plastic surgery, or been inspired by how youthful you look after a recent procedure? Or would you like to treat yourself to a more youthful look? An FPSA (Facial Plastic Surgery Associates) "Gift of Beauty" gift certificate can be used for any of our skin care products or cosmetic surgery services— from consultation with Dr. Russell Kridel or Dr. Angela Sturm-O'Brien, to nonsurgical rejuvenation treatments (think Botox, Restylane, Ulthera, Thermage, and Fraxel) or to our signature facial plastic surgery procedures. Gift Certificates for Plastic Surgery Products and Services are available for any amount. Your loved ones will be thrilled to receive the "Gift of Beauty" with the best facial plastic surgeon in Houston. Give us a call at 713/526-5665 today! *** Of course, we will examine the recipient of your gift to decide if they are a candidate for a given procedure, and make recommendations based on their goals, exam, and overall medical status.